A sprawling family drama and a grand love story, Mrs. Parkington offers intrigue among the filthy rich and a sweet story of a life-long romance between a simple girl and a swashbuckling entrepreneur. The Parkingtons are one of New York's richest families. 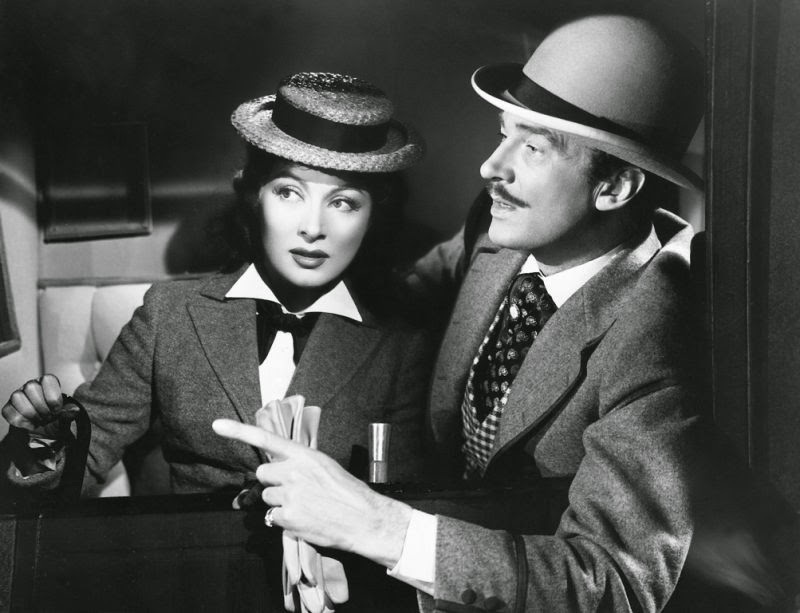 84 year old matriarch Susie Parkington (Greer Garson) presides over vast wealth, having survived the death of her long-time husband Major Augustus Parkington (Walter Pidgeon). At a Christmas gathering the extended family members reveal themselves to be a fractured, lazy, greedy and back-stabbing bunch. Things are so bad that Susie's great granddaughter Jane (Frances Rafferty) wants to flee the country with fiancé Ned Talbot (Tom Drake), because Ned has uncovered rampant corruption while working as an accountant at the business of Jane's father Amory Stilham (Edward Albert). While Susie ponders what to do to help Jane and keep Amory out of prison, in flashbacks she recalls her own history and humble beginnings. Born and raised in a small Nevada town, Susie was working at her mother's boarding house when the Major, a flamboyant businessman, rode into town and swept her off her feet. Once in New York, Susie quickly adapted to her husband's upper class social circles with the help of Baroness Aspasia Conti (Agnes Moorehead). Aspasia always loved the Major, but also became close friends with Susie. Through the ups and downs of business cycles, Susie proved herself a worthy partner to the Major, tolerating his wandering eye, defending her marriage, and setting the Major back on the right course when he veered towards cruel and vexatious business practices. Back in the present, Susie has to apply the lessons learned from a lifetime with the Major to sort out her family's latest crisis. Directed by Tay Garnett, Mrs. Parkington is lavish old-fashioned film-making. This is an enjoyable and memorable romp through the years and within the luxuriously decorated halls of the Parkington mansion. The rags to riches story of Susie's life with the Major serves as an attractive backdrop to the current rich-are-awful narrative. The past and the present come together as Susie draws on a combination of her extraordinary experience, down-to-earth character and the Major's influence to chart a rescue path for her extended family. Not everything about Mrs. Parkington works quite as well as intended. Garson's make-up at age eighty-four is only partially convincing, and her performance as an old woman is also never quite credible. The film also ekes out a final chapter of the flashback story in England, with Susie traveling to the old country to rescue the Major from the amorous clutches of Alice, Duchess de Brancourt (Gladys Cooper). Susie gets help from none other than the jovial Edward, Prince of Wales (Cecil Kellaway). It's a lively affirmation of Susie's persistence in loving the Major while saving him from his own poor judgement, but the episode arrives quite late in the proceedings and unnecessarily stretches the film to over two hours. 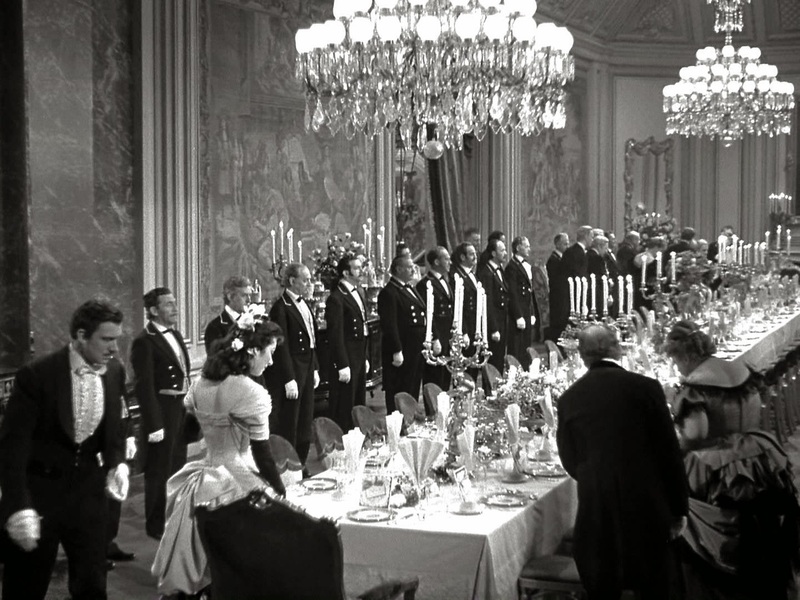 Other scenes work much better, and a particular highlight is an extravagant dinner party that the Major throws to celebrate Susie's first pregnancy. Little goes according to plan, and Garnett creates a tragicomic disaster of a social gathering as the evening unravels, setting the Major off on a vindictive war path. 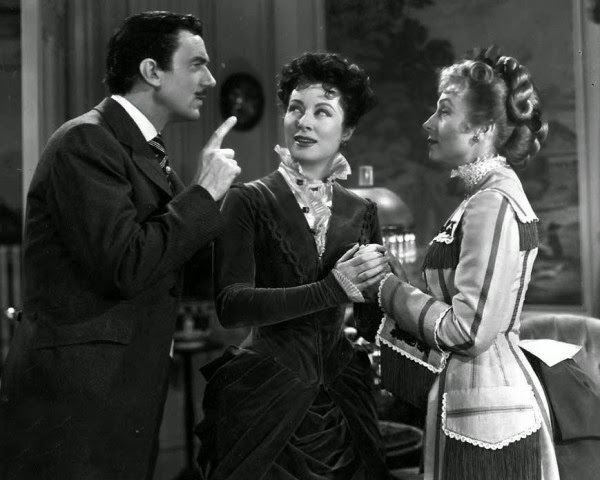 Greer Garson and Walter Pidgeon add immensely to the appeal of Mrs. Parkington, as their on-screen chemistry again clicks effortlessly. Beyond all the dramas past and present, this is a story of an enduring love and the woman who made it work despite all her husband's foibles. Garson is at her luminous best, a mischievous glint in her eye hinting at how far ahead of the Major she is in thinking about both of their futures. Pidgeon wears the bombastic cloak of the rich and confident, a self-made man who augments his wealth with loads of ego. He gives Susie the nickname Sparrow in honour of a bird he once saved, but she will return the favour and save his soul more than once. Together they make for a most imperfect perfect couple. In support, Agnes Moorehead delivers a most engaging against-type performance as Aspasia, silent lover of the Major but nevertheless friend to Susie. Peter Lawford, Dan Duryea, and Hugh Marlowe contribute small roles. Mrs. Parkington is a heartwarming story of one woman's rise to meet life's challenges, good and bad, in the only way she knows how: with honesty, humility, perseverance and a positive spirit.